PP Rope (Polypropylene rope) is made from high-strength polypropylene multifilament yarns and polyamide core. This combination of synthetic materials allows to achieve excellent chemical and mechanical characteristics, opening up wide opportunities for the use of the product in industry and everyday life. Polypropylene fibers are resistant to repeated bending, weathering, temperatures above minus 40 and below 80 degrees. The rope is free from the effects of oils, salts, alkalis, liquid fuels, organic solvents, do not absorb moisture and water, do not sink. Ropes can be easily washed at temperatures up to 30 degrees, so they are actively used for packing and transporting dirty goods. The polyamide core increases the tensile strength by several times and reduces the tension of the rope under significant loads. 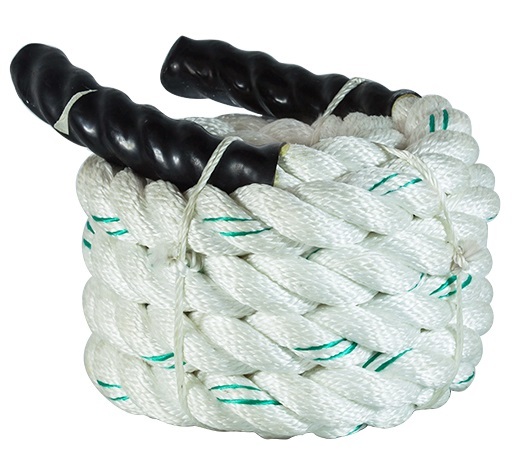 Braided polypropylene rope is widely used for securing and lifting goods. The rope is also used in tourism, economic and auxiliary tasks. The rope has proved to be very effective in the manufacturing of sports goods. Elongation under load by ~ 18-20%. Specific density is 0.91. Melting point 170 C.